Picking out a laptop that works well for the needs of the user is difficult for anyone, writes guest blogger, Davor Gasparevic. The myriad choices of computers all require careful consideration of size, speed, memory, graphics, performance and, of course, cost. Gamers require more powerful computers; add virtual reality (VR) into the mix and you up the ante even further. You might think that you need to spend upwards of thousands of dollars to obtain a good, high-quality, VR capable laptop, but that’s not the case. As we profile the cheapest VR ready laptops, please keep in mind that ‘cheap’ does not necessarily mean low quality. However, you often get what you pay for and truly inexpensive systems might be that way for a reason—and can cost you a lot more in the long run. With those considerations in mind, here are some inexpensive laptop options that provide good bang for your VR buck. Featuring the Intel Core i7 quad-core processor and the NVIDIA GeForce GTX 1050 Ti graphics, Asus FX73VE-WH71 carries a powerful computing architecture that gives the user the power and performance for even the most demanding gaming/VR applications as well as live streaming and/or video editing. ASUS has a 17.3 inch screen, a 1 TB HDD (mechanical), a 2.8 GHz 8032 Intel i7 processor and 8 GB of DDR4 RAM. It also has a 4 GB graphics card, and a total of 5 USB ports (4 USB 3.0 ports). 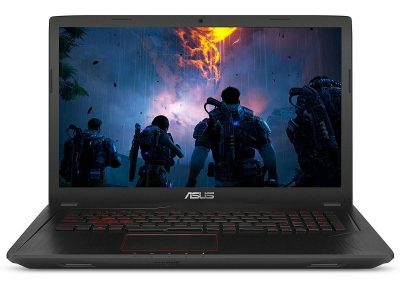 Asus was famous for using GeForce GTX 1050 Ti graphics in previous series of laptops, but since CPU has advanced for two generations, from 6 to 8, performances can be greatly improved as benchmarks have shown that latest Intel processors have almost double processing speed. Pros—lightweight at 6.6 lbs., this laptop packs good bang for your VR buck without adding a comma to the price tag. Cons—mechanical hard drive can be slightly less responsible than solid-state drives. Some users noted the computer gets pretty hot during long, intense gaming sessions and the cooling fans were loud, which can be a distraction when you’re gaming. Bottom Line—A solid VR capable system with a few drawbacks. 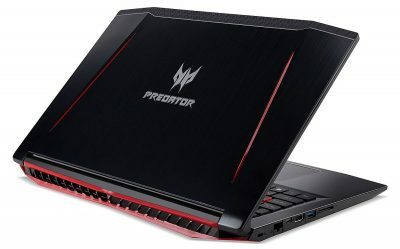 The latest in the Acer Predator series of laptops, the Helios 300 gives users an exceptional price to performance ratio. 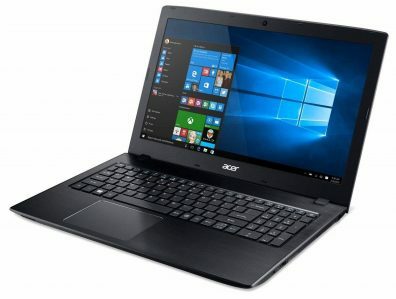 The Acer features: a 7th gen Intel core i7-7700HQ 2.8GHz processor with Turbo Boost Technology to 3.8 GHz; NVIDIA GeForce GTX 1060 with 6 GB of dedicated GDDR5 VRAM; 16 GB DDR4 Memory; 256 GB SSD; a 15.6 inch HD display (1920 x 1080) as well as a seven hour battery life and it comes in at just under six pounds. Users loved the super-fast SSD, its exceptional VR/gaming performance, its GTX 1060 graphics architecture and its easily upgradable RAM and storage. It tends to run warmer when used for more intense applications like VR. In addition, users did not care for the smaller amount of storage (256 GB) and lack of USB 3.0 ports (just one). If you have a larger VR collection, the limited storage might be a problem. Bottom line—A solid VR-ready system that won’t break the bank. For those of you on a serious budget, but still want a system that can get you into the VR world, consider the Acer Aspire E 15. Coming in at under $400, it is a truly inexpensive machine that gives users a glimpse into another (VR) world. The Acer has a nice 15.6” screen with full HD quality (1920 x 1080), a 1 TB hard drive, an 8th gen i3 2.2 GHz processor (dual core; Turbo Boost Technology to 3.4 GHz) and comes in at a lightweight 5.3 lbs. It also features 6 GB RAM, single 3.1 type USB port (two 3.0 ports and one 2.0 port) and an excellent battery life of 13.5 hours. Bottom Line—a good entry-level VR machine that’s easy on the wallet. Full HD, super battery life, lightweight and enough storage for all of your VR titles. The Acer was slowed by the lack of memory and the mechanical hard drive. Minor modifications to these bare-bones specs will produce a superior machine at an attractive price. Regardless of your budget, you can find a good computer system that’s powerful enough to launch you into the world of VR without needing to spend thousands of dollars for a high-end system. Croatian Davor Gasparevic is a writing virtuoso with an extensive and colourful skill-set. With years of experience across a wide range of online industries, he’s established himself as a crucial contributor and a consultant for dozens of online businesses, ventures and startups. During his free time, Davor enjoys watching wildlife documentaries, playing PC games, shooting airsoft BBs in your face or just chilling by the seaside. 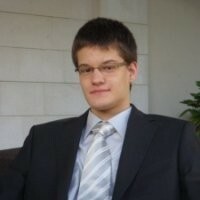 Thanks to Davor this guest article. The LTSIG would like to hear from other potential blog writers who would be willing to contribute to a single or series of posts on using technology in their teaching and learning. If you are interested in writing about technology – either the hardware or software – then please contact the webmaster via this new submission form.